Liposuction at the Advanced Body Sculpting Institute goes far beyond the basic process of removing fat from unwanted areas of the body. Technique and the eye for detail of the physician are major factors when it comes to delivering successful and desirable outcomes for the patients. With advanced body sculpting and liposuction techniques, you can achieve natural-looking enhancements that are appropriate to your body’s best natural features. Liposuction technique varies a great deal across the cosmetic industry based technology and techniqus on the experience level and training of the practicing physician. The first major breakthrough in liposuction technique was the development of tumescent liposuction. With tumescent liposuction, lidocaine, a pain-numbing medication, is infused into the treatment area. With tumescent liposuction, the entire procedure can be performed using only local anesthetic and avoid the need for general anesthesia. On this foundation of tumescent liposuction, advanced liposculpture has evolved. At the apex of body sculpting and fat reduction treatments are the ideals of artistic anatomy. Artistic anatomy is more than a concept, it is an answer to the rapid changes in liposuction technology and techniques that have recently occurred. In 2002, technological innovations in liposculpting began to pick up the pace and from these innovations arose a need to evolve liposculpting practices. Traditional liposculpture had been regarded as simply a fat removal procedure to target and suction pockets of fat. The design of tools used and the standardized practices for liposuction were limited in scope and precision. Training for surgeons remained purely technical with no regard for the artistry of human anatomy. The issue with cadaver study is that young surgeons receive no education about the outward, lived experience of the human body, which is the day-to-day practice of cosmetic surgery. The team at the Advanced Body Sculpting Institute and many other surgeons viewed these developments across the cosmetic world with concern. Moreover, medical education and cosmetic surgery training are inherently limited in terms of real-world applications. The first step in surgical training is a course called “gross anatomy.” As an overall study of human anatomy, it lays the foundation for young surgeons across the country. However, gross anatomy courses are taught using a cadaver donated to science. To address these shortcomings, the idea of “tailored anatomy,” and “artistic anatomy” was born. The founder of the ABS Institute and advanced liposuction techniques itself, Dr. John A. Millard, has lobbied for the creation of a formalized course in “Artistic Anatomy,” which is now offered to surgeons all over the world. “Sculpting for Surgeons,” is taught by Peter Schmidt, a world-renowned 3D modeler, and sculptor. At the Advanced Body Sculpting Institute, our mission is to constantly strive to provide the most advanced, scientifically-proven liposuction treatments. Three technical innovations made by Dr. Millard have been at the crux of the new wave of body sculpting. Another innovation with liposuction technique is the capability to achieve skin tightening. Advanced liposuction technology has made subdermal skin tightening possible. Formerly, liposuction treatments had the technical limitation of only being able to treat deeper pockets of fat. To remove pockets of fat directly under the skin, subdermal fat proved to be risky. Treating subdermal pockets of fat offers a number of benefits including precise body sculpting and the ability to enhance muscular detail. With the advent of VASER liposuction, subdermal liposuction is possible. Subdermal skin tightening is possible through VASER because of the VASER system’s unique multi-ring ultrasound probes. During the fat-suctioning phase of the procedure, original ultrasound probes emitted energy in a single direction from a sharpened edge. After considerable research and observation, Dr. Millard developed a next-generation multi-ringed probe, which offers the capability of multi-directional pulsation. Three and five-ringed probes offer increased efficiency and safety. Multi-directional pulsation improves the ultrasound energy dispersal. When combined with the atraumatic cannula’s capability to protect surrounding local tissue, a “shrink wrapping” effect is achieved as connective tissue retracts and pulls the skin taut. Subdermal skin tightening and compression coupling are a result of the improved efficiency of the VASER five-ringed probe. 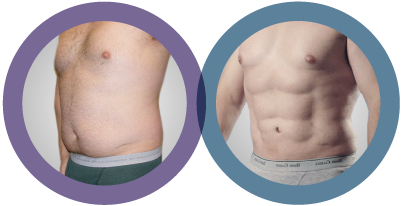 Stacked up against traditional liposuction, studies have shown that VASER liposuction treatments offer a reduction in the “dwell time.” During treatment, less “dwell time” results in fewer passes with fat removal cannulas and reduced tissue trauma. 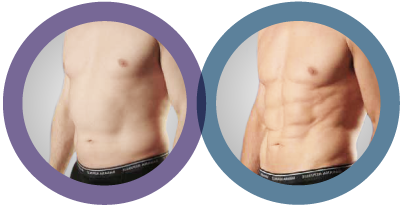 Enhanced fat reduction that achieves sculpting, chiseling, and fine-definition fat remodeling are possible because of a combination of advanced techniques and technology. The first phase of all modern liposuction treatments is the injection of tumescent fluid, which is saline mixed with epinephrine. Tumescent fluid triggers blood vessel contraction. 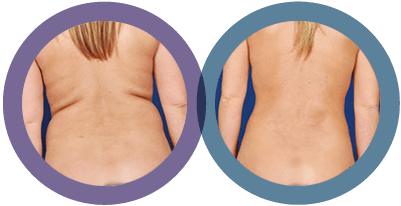 During the fat removal phase, tumescent fluid mixes with the fat layer but is limited to spaces larger than five microns. The natural biological boundary results in fluid pockets and clumping of fat cells. When the VASER-probe is used, these gas bubbles expand and contract due to the ultrasound energy delivered by the probe. Eventually, the gas bubbles burst, creating an emulsified fat mixture that is easily suctioned out. The smaller fat molecules and emulsified mixture improve the speed and efficiency of VASER treatments. The Promaster LED Light Studio and TouchView Diagnostic Ultrasound (a presurgery marking system) are two imaging systems used by the physicians at ABS to achieve absolute body sculpting precision. The Promaster LED Light studio offers “advanced marking techniques” by displaying customized 3D lighting to highlight natural anatomy and curvature. A major misconception about liposuction tends to be that the treatment is meant to treat obesity. The truth is quite the opposite. VASER liposuction, advanced body sculpting treatments, Smart Lipo Triplex and Fat Transfer treatments are ideal treatments for those whose goals are to sculpt stubborn pockets of fat that do not respond to dieting and exercise. Individuals with poor fat distribution may have muscular features hidden by fat deposits and are candidates who stand to benefit the most from liposuction. Schedule a consultation with the Advanced Body Sculpting Institute and be on your way to achieving your best, beautiful self!